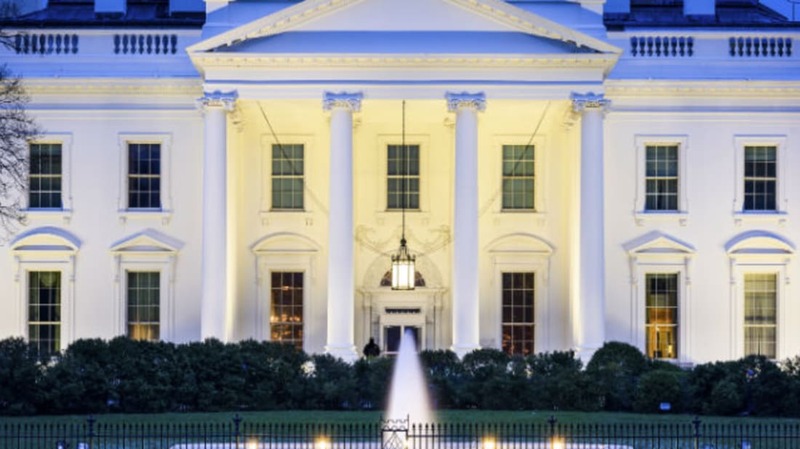 Although it’s endured a fire, structural damage, and major renovations, the White House has—more or less—stood in the same spot at 1600 Pennsylvania Avenue since John Adams became the first occupant in 1800. That’s over two centuries' worth of traditions, restrictions, and presidential preferences that have dictated what's allowed to transpire inside the property’s 132 rooms. Take a look at seven things that were once prohibited from entering. Beginning with President Benjamin Harrison in 1889, the White House has been home to increasingly elaborate holiday decorations. The Scrooge of the lot was Teddy Roosevelt, who banned anyone from placing a freshly-cut tree inside. Roosevelt was an avid outdoorsman and conservationist who couldn’t stand to see a perfectly good pine cut down in its prime. But Roosevelt’s son, Archie, didn’t share his ecological principles: He dragged in a small tree and hid it, fully decorated, in a closet. In today’s heightened state of domestic security, it’s hard to imagine the White House once allowed Washington, D.C. residents to freely gather on the South Lawn for a concert. But that's exactly what they did from 1842 until the 1930s, inviting the United States Marine Band to perform every Saturday afternoon from June to September. The one time they were silenced? When President Abraham Lincoln and wife Mary were suffering the loss of their 11-year-old son in 1862. Mary insisted the band skip that summer, which led to some protests from the community. After a condensed schedule in 1863 at Lafayette Square, the band resumed in 1864. Upon his election to office in 1878, President Rutherford Hayes and his wife, Lucy, had a plan to restore a sense of decorum to public office. Lucy announced she would be joining the women’s movement that petitioned against saloons by prohibiting any liquor from being poured under her roof during functions. It wasn’t until 2015 that visitors to the White House were allowed to take pictures during tours. In 1975, officials banned cameras because they feared the flashes could potentially damage some of the artwork on display. (Stopping to take a picture also slowed down lines.) The ban was repealed in part because most smart phones don’t need a flash to work. You can’t, however, live stream your tour. George W. Bush wasn’t as militant against broccoli, but he preferred cauliflower. With less than two years in office, President George H.W. Bush made a startling proclamation in the spring of 1990: Broccoli would no longer be seen in the White House or on Air Force One. “I do not like broccoli,” he told reporters. “My mother made me eat it. I’m President of the United States, and I’m not going to eat any more broccoli!” (He also said, “Just as Poland had a rebellion against totalitarianism, I am rebelling against broccoli, and I refuse to give ground.”) The vegetable’s constituents subsequently flooded the White House with recipes and tons of the veggie, which was donated to food banks. One produce dealer in California noted that sales had risen 10 percent as a result of the publicity around the President's non-endorsement.